But city and state officials told The Des Moines Register that Project Morgan is code for Apple data center. The company is reportedly planning to follow Google, Facebook, and Microsoft in building a data center in Iowa. Agenda for a separate Thursday meeting, of the Iowa Economic Development Authority, includes a review of Application for Investment by Apple in Waukee. According to the report, the Authority’s board will discuss economic incentives for the company. Incentives, usually in the form of tax breaks, are common way state economic development officials lure data center development to their states. The existing Apple data center campuses are in Newark, California; Maiden, North Carolina; Prineville, Oregon; and Reno, Nevada. But as other tech giants that provide services over the internet, the company has to continue expanding data center capacity to support growth of its user base and new, more data-intensive services. 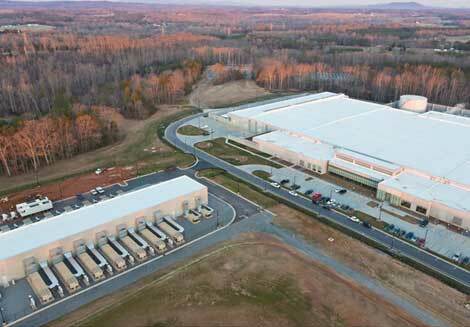 The Apple data center in Maiden, North Carolina. No details about Project Morgan have been released publicly, and it’s not entirely clear whether Apple has made the final decision to build in Waukee. For these hyper-scale data center operators, site selection is a never-ending process, and companies often start negotiations with state and local officials in multiple locations before making the final call. For everything we know about Apple data centers, visit our Apple Data Center FAQ.